Phew! It's been a busy few weeks. I've been re-designing, rebuilding, and re-populating the Travel-Lists site, and now it is finally 'live'. The basic thinking behind the redesign and the new business model is explained here, but it's also a long-overdue change of style. The new CSS-driven site looks business-like and is ruthlessly efficient. I can't tell you how liberating it is to strip out all the graphics! Anytime I want to change the design I can just fiddle around with the stylesheet. I'm not restricted by images of lines, boxes, corners, etc - the usual Fireworks flotsam & jetsam! The original stylesheet comes from Ruthsarian (open-source, free copyright) and is a work of genius! It does two really clever things: it is multi-browser friendly (IE, Firefox, Opera, etc) and arranged so the centre-column content comes first in the source page, which makes it spider-friendly too. Anyway, back to work. There are still a few little dead links and other minor glitches to sort out. Dropping visitors - what an idiot! 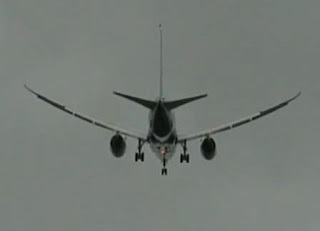 Boeing's 787 Dreamliner: Great take-off, but what about those wings?